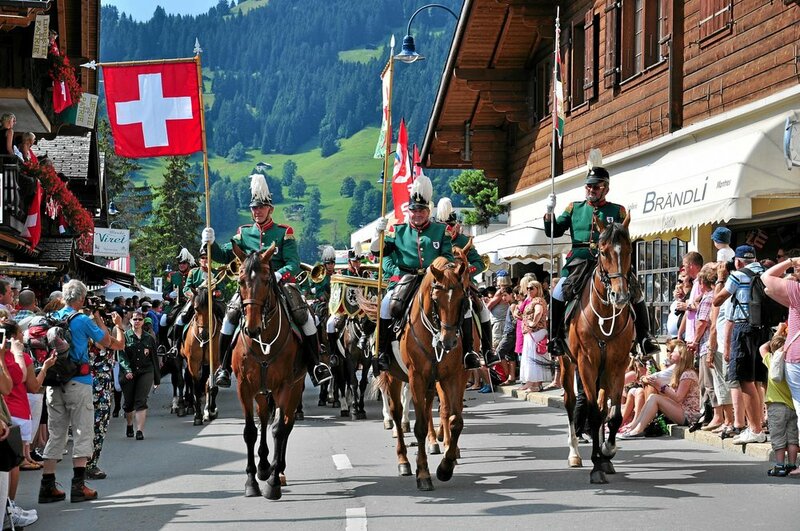 Since 1891, the first of August has been celebrated as Swiss National Day. The date refers to a historic alliance concluded in 1291 by the three cantons of Uri, Schwyz and Unterwalden. The three cantons swore eternal allegiance to one another, promising mutual help and assistance. 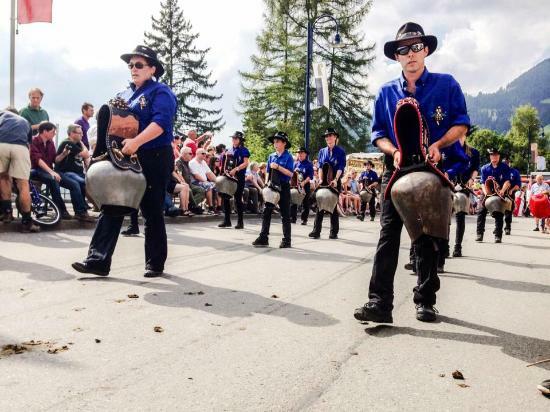 Here in Villars the children and staff will start the celebrations with a traditional Swiss lunch, they will then enjoy the stalls, concerts, fireworks and unforgettable procession. The flag of the Red Cross is the flag of Switzerland with the colours inverted. Switzerland has the second highest life expectancy, after Sweden. Switzerland leads the world in chocolate consumption. It is said that an average Swiss eats 23lbs of chocolate annually. The Swiss Guards who protect the Vatican, in the Vatican City are dual citizens and the only Swiss citizens allowed to serve in foreign armies. Apart from occupation by Napoleon's France between 1798 and 1815 Switzerland has been an independent country since the year 1499. The capital of Switzerland is Bern, while the largest city is Zürich. For over 190 years Switzerland has been a neutral country during wartimes. Switzerland has 4 official languages: Swiss German which is spoken by over two thirds of the population, French, Italian, and Romansh. Switzerland is a landlocked country in Western Europe, it shares a land border with Germany, Austria, Liechtenstein, Italy and France. The population of Switzerland is nearly eight million (7,996,026) as of July 2013. There are more than 1500 lakes in Switzerland containing around 6% of Europe's fresh water stocks. The largest of these lakes are Lake Geneva, Lake Constance and Lake Maggiore. Encompassing part of the Alps that run through Europe, Switzerland is a very mountainous country with 208 mountains over 3,000m high and 24 over 4,000m. The highest is Monte Rosa at 4,634 m (15,203 ft), however the Matterhorn (4,478 m or 14,692 ft) is the most famous. The official currency of Switzerland is the Swiss franc. Switzerland is very famous for its chocolate, cheese, banking system, watches and alpine mountain areas.